Memory Keeping | Living life in the carpool lane.. I love my Day Designer Today & To Do. 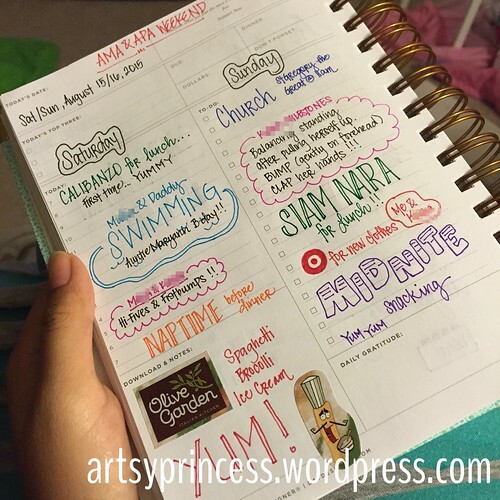 Click here read more about my thoughts on this planner. 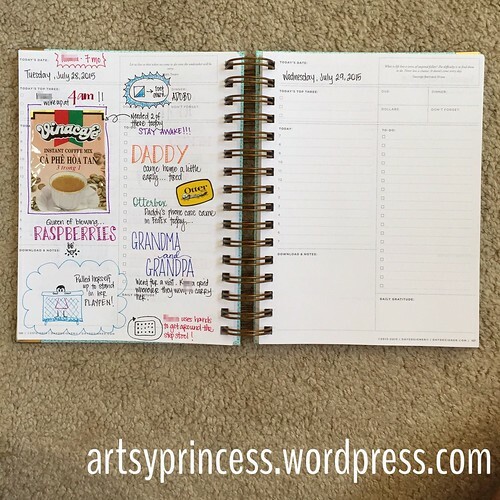 I love that the planner is a daily spread. It’s a day a page. Some days are more interesting than others, but I feel like every day has a story. Every day is full of memories. I just wish I was doing this sooner. I love looking back on the day before and then seeing the blank page of the new day. Every day is a blank slate waiting to be filled. It’s a refreshing and reviving thought to have, especially if I had an exhausting day before. I like to find little pieces of memorabilia from our day to stick into the planner. When I look back, I can see what kind of things we actually used or visited. It’s like a time capsule in a book. I also love recording days that are just filled with so many fun memories. On our first trip to Legoland as passholders, I made sure to grab a map so I could cut out all the fun places we went to in the park. M loves looking at this page and talking about all the fun things she did at Legoland that day. I will always make sure to grab a map or other forms of simple memorabilia when we go to the park to help document our days there. The good and the bad. The triumphs and failures. I want to remember it all. I want to remember that my life was always interesting and so far from perfect. It would be fun for M or K to read back on these days and see what sort of shenanigans they would get into. I simply am in love with this form of memory keeping. 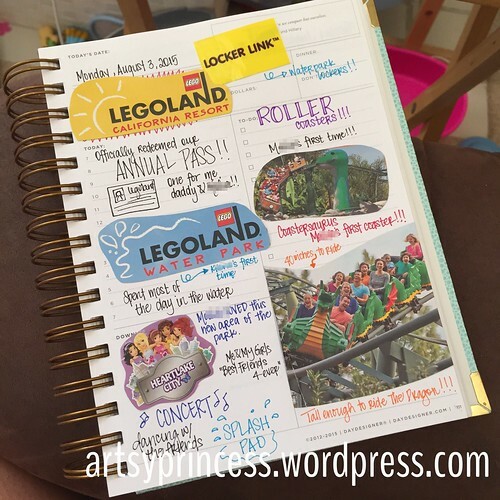 I’ve had no time to scrapbook lately and this has been a great alternative. 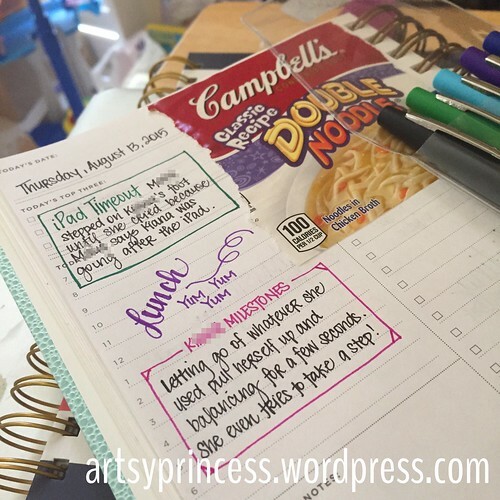 I also think that this form of memory keeping is a great supplement to scrapbooking. I will be able to look at the photos and look for the day the photo was taken revive some memory for the journaling on the layout. This form of memory keeping is also a great way to exercise some creativity. Every night, when the kids go to bed, I sit at the table with my planner and just doodle and play with various styles of hand lettering for the day’s entries. I find it so relaxing and helps me unwind after a busy day of wrangling two busy girls. 1 Response to "Memory Keeping"